Chicago Children's Museum (CCM) is introducing "Once Upon A Castle" to help break gender stereotypes that force children into preconceived roles, like Princess and Prince Charming. The experiential exhibit was developed by CCM and designed by full-service creative shop Luci Creative. Sister company Ravenswood Studio was responsible for fabrication and installation. The concept allows children to dress up with gender neutral costumes and props and act out various roles with their own storylines. 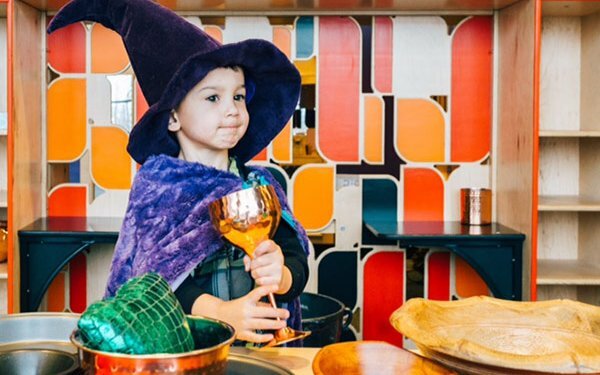 The exhibit includes an experiential, modern and interpretive castle design complete with secret tunnels, a rope bridge, tower, dungeon, throne, kitchen, and dress-up opportunities. This project is the first time CCM has worked with Luci as an extension of its team in the role as the exhibit designer. Ravenswood Studio has built exhibits for CCM in the past. "Because of our theatre design background, we are always striving to design environments to evoke a feeling and tell a story," says AJ Goehle, director of strategy & design, Luci Creative. "However, this time around, we had to try and take the story personality out of the design and find ways to give children the tools to create their own." Once Upon a Castle will be open through May 14, 2017 and is included in museum admission.